Real 1880s History - The Legend & The Truth! The 1880s were a time of great change. The Industrial Revolution was speeding along with all its technological wonders! Can you imagine? Before this time, people were used to only living their evening hours by candle-light or oil lamps. That encouraged early bedtimes for sure! But now - the electric light was on its way! Thomas Edison was establishing his electric power plants. Cities could soon provide lighting to streets and homes. What other amazing things were happening? 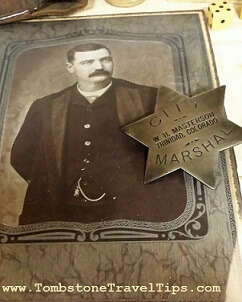 In Tombstone Arizona, some of these events affected life more than others. When we walk around town and look at the historic buildings, we think about that! What were the specifics of the 19th century in the Wild West, in Tombstone and in Arizona? In the 1880s Native Americans inhabited areas surrounding Tombstone AZ. Original Native Peoples resided in what's currently Cochise and Santa Cruz Counties and up into Pima County. They were the Sobaipuri, residents before the invading Europeans arrived. Sometimes they're referred to with the Papago name Rsársavinâ which essentially means "spotted." Mostly found living in the San Pedro River Valley up to the river's source in the Huachuca Mountains. They ranged as far West as the Santa Cruz River, and in Southeastern Arizona possibly to the New Mexico border. The Apaches were nomadic, and had intermittent bases in the area. There were several bands which populated Southeastern Arizona. As a raiding peoples, they likely forced the Sobaipuri further Westward. This aggregated them along the Santa Cruz River, intermingling with other Papago bands. In the 1800s people were motivated to move West to begin new lives. After the Louisiana Purchase in the early part of the century, the government's plan for Western migration encouraged them. The principle of Manifest Destiny, influenced by religious beliefs also promoted this Westward movement. These early towns were usually built around mining, railroads, protective army forts or water access. Initially they lacked typical organizational amenities such as a government with law enforcement or banking. Inns were available, but typically established in large canvas tent buildings. Quickly lawless elements entered. Gamblers, Old West Gunfighters, Western Outlaws, and Bordellos all became a part of these frontier towns. As more families moved into an area, concerned citizens wanted to improve life. Lawmen were appointed. City governments and town banks were established. Laws were enacted regulating firearms and guns in town. Tombstone, Arizona - where we live - is a good example of such a town! When visiting town, your Tombstone exploration will find historic buildings still here from the 19th century. We love roaming through the historic parts of town. 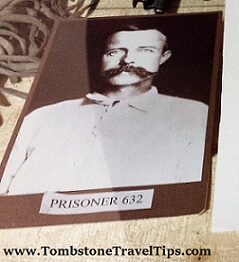 If you're interested in early American history - we really recommend a trip to Tombstone. Click Here for Crystal Palace 1882 History!